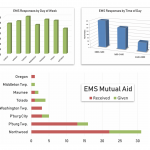 EMS Operations in 2017 saw another increase in run volume — following an 8-year trend — with a total of 847 incidents. The most frequent call for service is a ‘lift assist,’ where the patient is uninjured and simply requires assistance off the ground or into or out of a vehicle. 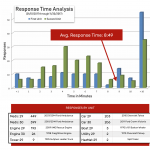 ‘Sick person’ is our second most frequent incident, and may involve a variety of illnesses. 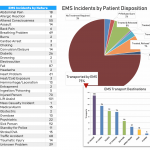 2017 brought about a major change to our EMS incident reporting through the implementation of ESO software. This transition improves our service in a host of ways — from improved quality assurance, simpler documentation using Bluetooth and WiFi technology with our cardiac monitors, and direct communication with the hospitals through automatic patient care report sharing. 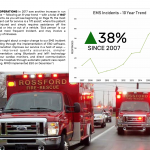 Rossford Fire and Rescue Department implemented ESO on December 1st, 2017.